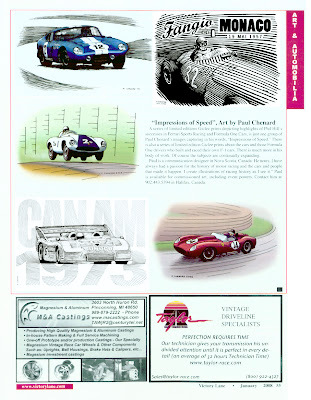 It's a great honour to be featured in such an important vintage racing news publication. A quick note to let you know I enjoy your new blog as much as I do your amazing works and looking forward to more. CEO, California's Best Racing Inc. Thanks for the feedback ... you are, for those who know you, California's Very Best! I have a passion for the history of Grand Prix and Sports/GT racing. I am now creating and selling my motorsports art related to this history. Please tell me what you think of my work.